Washi tape, have you heard of it before? I hadn't until a couple months ago. 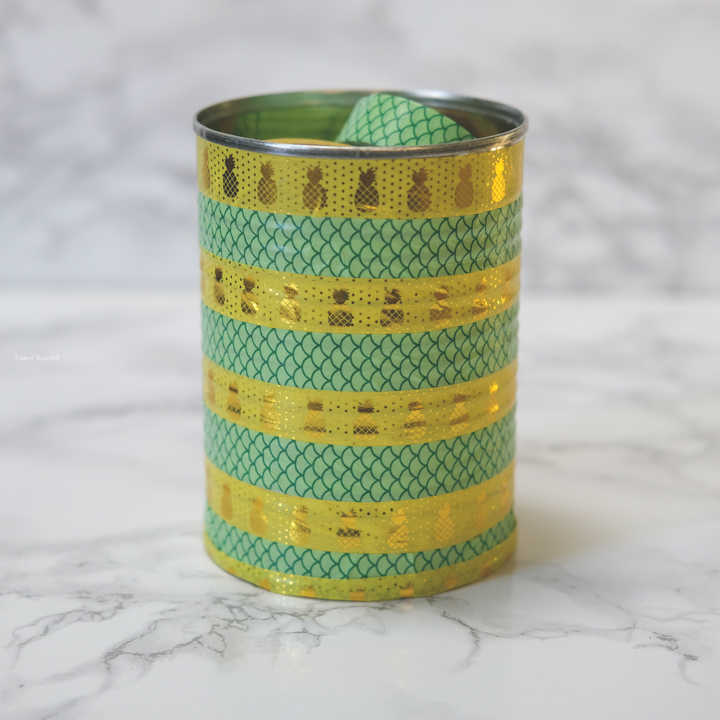 Washi Tape is a Japanese masking tape generally made from rice paper. It comes in all different colors and designs. 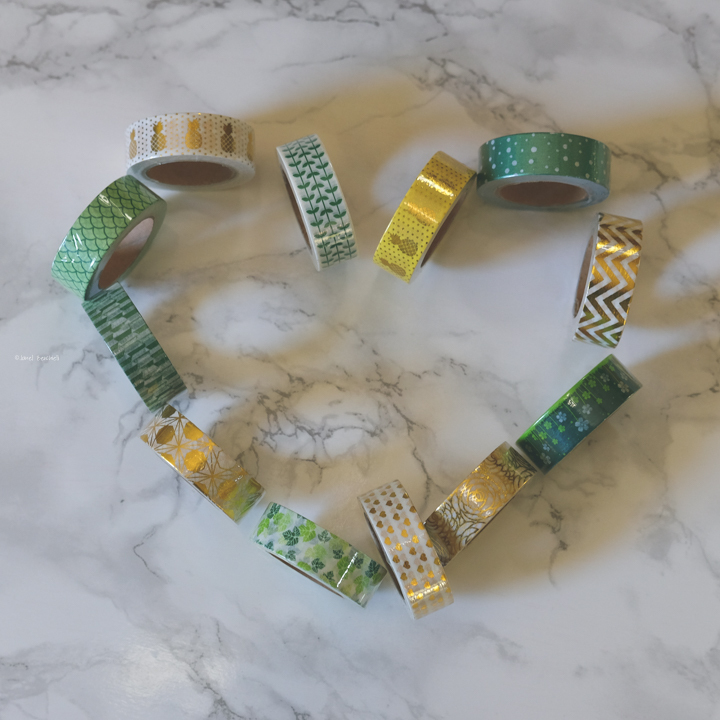 So what does one use Washi Tape for? Many use it for arts and craft like projects. Just browse Pinterest for all kinds of ideas. I was given the opportunity to purchase discounted package of 12 different designed wash tapes. Each roll is individually wrapped with an easy remove clear plastic. Each roll has a different design, my favorite is the pineapples. While the rolls are tiny they have quite a bit of tape on them. The tape seems very sturdy but is still easy to rip a piece off. I used two different designs on a extra large soup can to create a spot to hold my scissors and pens. I thought for sure I was going to run out of tape due to the size of the can but not not at all. I still have plenty left for future projects. So far the tape has held up and is not peeling off the can. Here is my completed project. 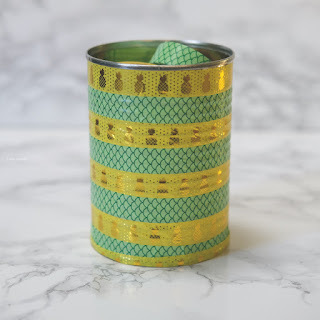 I look forward to looking up more projects that I can use Washi tape.